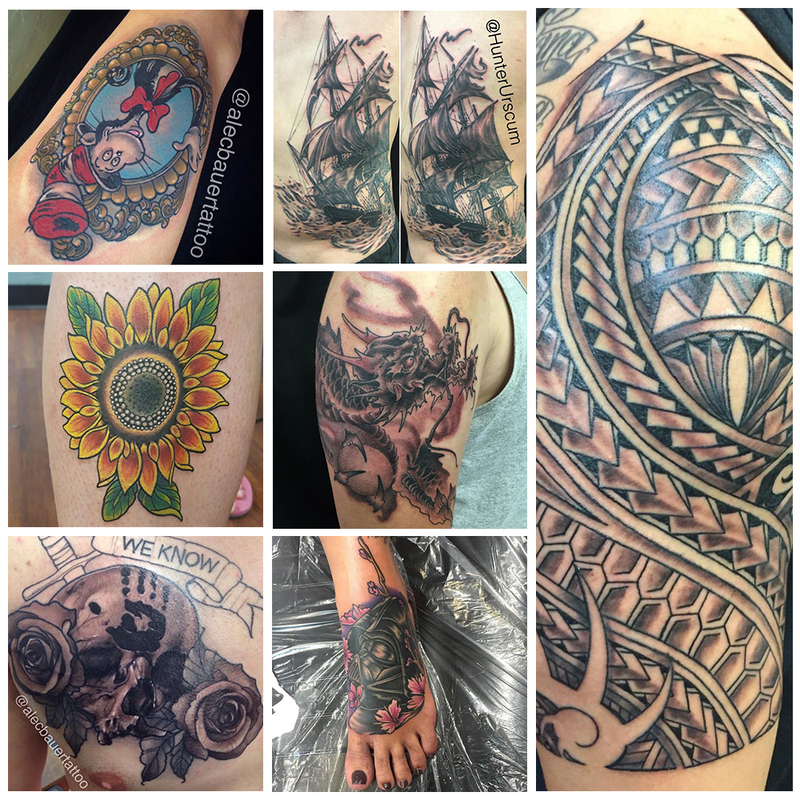 This month we shine the spotlight on Funhouse’ veteran tattoo artist, Leo Cadenazzi who has been a resident artist at the tattoo shop for nearly 20 years and has become one of the most sought after artists in San Diego. 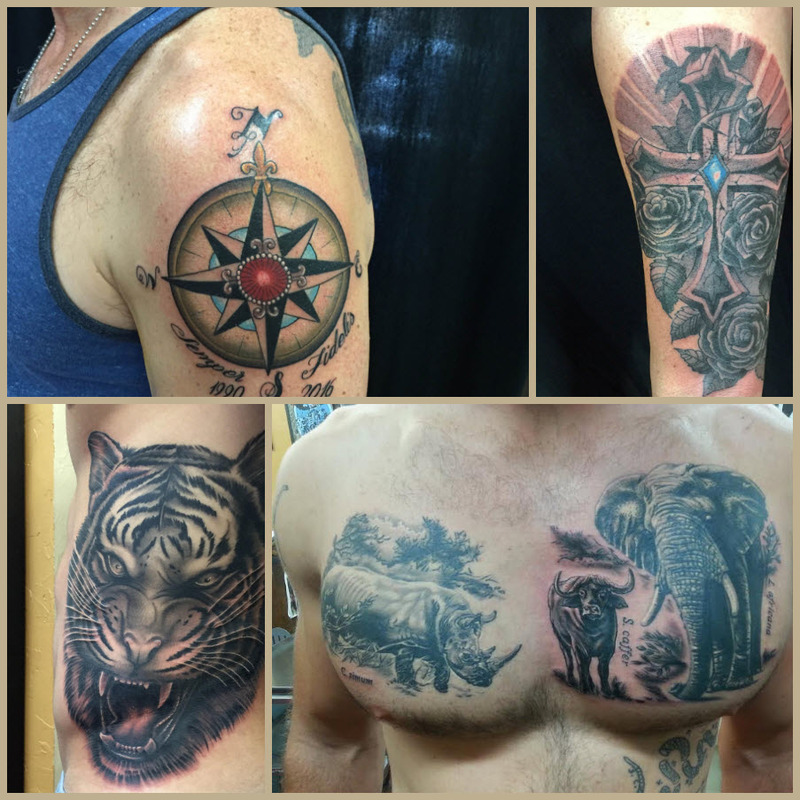 Leo has established his own highly coveted style of body art that blends several styles that include Japanese, black and grey, and color tattoos. His work has made him a world-renowned name in the tattoo industry and we are proud to sit down with him for a brief interview. If you havn’t already, it’s about time you get to know Leo. Every artist has gone on a journey to get to this moment in time. Can you briefly walk us through yours? The early memories I have of tattoos are of my uncle. I remember that he had a very poorly done heart with an arrow through it done with a sewing needle and ink from a ballpoint pen. It was terribly executed, but as a kid it was awesome and something about it stuck with me. Since then I always wanted to have a tattoo. It was not until many years later when I became friends with a tattoo artist and I got my first tattoo. Coincidentally, he was the one who taught me how to tattoo. This was while I was still living in Brazil, which was twenty years ago. I moved to the US in 1998 and started tattooing at Funhouse in 2002 after meeting the Owner, Seth who became my best friend. And the rest is history. How did you first discover Japanese tattoos and what has the journey been like for you to become a master of the style? 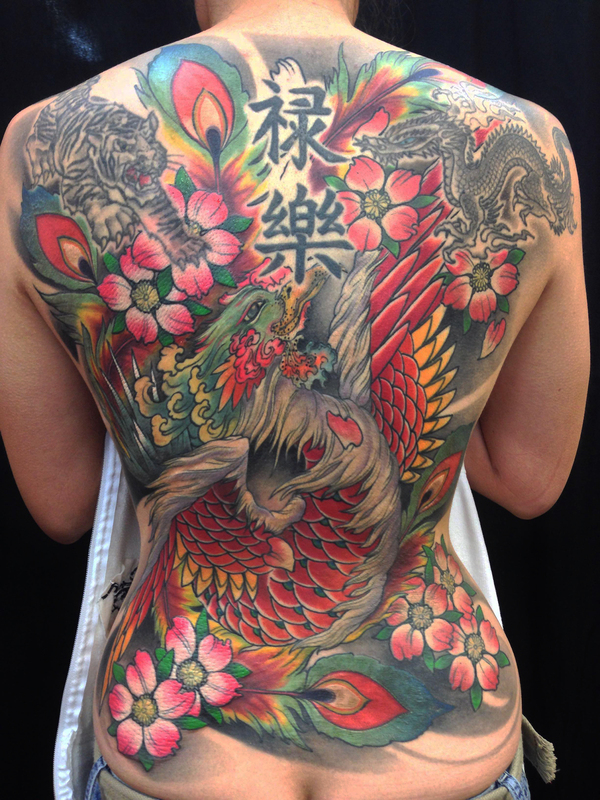 I came in contact with Japanese style tattooing in 1998 when I met a Hungarian artist named Ivan Sazi. He had just moved to Sao Paulo and his Japanese designs and tattoos are amazing. We became friends and I learned a lot from him and I had the chance to get a few pieces from him. He was a big influence on my style. A lot of artists use certain tattoo styles to categorize their work. Do you find that your able to do the same thing or that you work between the definitions of the styles? I certainly don’t let the definition of a certain style of tattoo, and in my case is Japanese tattoos, define what I do artistically. I like to bring influences from other styles into my own style of Japanese tattoos, which comes natural to me and it allows me to create my own unique brand of tattooing. Besides tattooing, is there another medium you use as a creative outlet? Lately ive been using digital painting in my daily work, it has helped in cutting creation time down and it is a lot of fun. Then that oil and watercolor painting are my other mediums. What is your favorite spot to eat at in San Diego and what do you get? That’s a tough one, there are so many great places to eat in San Diego! There is an Italian little gem in Pacific Beach named Mama Mia. It’s an authentic Italian restaurant that I would definitely recommend. If you decide to give it a shot, try the gnocchi gratinati. As a veteran artist at Funhouse Tattoo San Diego, what do you find to be the most rewarding aspect of working in this community opposed to other places you have worked with in the past? Certainly the clients. They have a better understanding of what makes a good tattoo and they give me the freedom to be artistic and in return, I give them my best work. When a new client approaches you about their tattoo idea, what are some of the first things you do to get to the core of their concept? The main thing for me is to understand what are they trying to express through the image in the tattoo. I ask myself things like, “what is the history behind it?” or “what kind of emotions and memories it will bring to them when they look at the tattoo ten years from now?” To me, that’s what really matters. Being a professional artist comes with a fair amount of challenges. How do you balance your career as a tattoo artist and all the other aspects of your life? The best I can! (laughs) I am an extremely busy and I have a lot going on in my life outside the studio, and to be honest it can be chaotic. But I do my best to put my clients first and deliver my best to them on time. Where can people learn more about your artwork and what is the best way to get in touch with you? The best and fastest way is through our website on my artist page, which has all my latest work, and some old ones too. There you can find all of my contact information as well.